A 3 on 3 basketball tournament fundraiser is a great way to raise money. 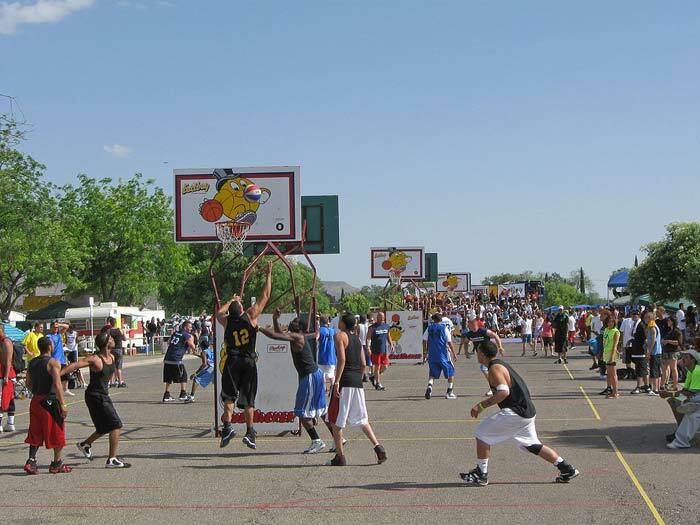 A sponsoring organization provides a double elimination tournament for basketball fundraisers and b-ball enthusiasts. The basketball fundraiser is relatively inexpensive to setup and offers several additional ways to make money. You’ll need a few basketballs, tables, portable scoreboards, trophies, and a gym to rent unless your fund raising group is a school (if they’ll let you use the gym). You may also want to pay for referees, unless you can find some who are willing to support your cause by donating their time or if you want the games to be self-officiating. A facility that has bleachers would be good if you want to accommodate large groups and be able to charge an admission fees to spectators. The YMCA and county recreation districts are good places to look for indoor basketball courts. Three-on-three basketball is a half-court game played by two teams of three players each. Teams can be groups of three adults—male or female. The first team to score 15 points with a margin of 2 points wins that game. For each full basketball court your facility has, you can have two games going at all times. Your fundraiser can earn extra money by setting up a small concession stand and selling snacks and refreshments. Another way to earn money is to print programs with the tournament schedule, photos, player’s names, etc. and sell ad space to local restaurants, and other businesses. You can also charge each team an entry fee for participating ($15 to $30 depending on the interest level). The best places to promote tournament fundraisers are at existing recreation facilities because this is where avid basketball players hang out. Put flyers on bulletin boards or hand them out to players directly. Also, visit local businesses like real estate offices, car dealerships, other community organizations, and other places where you will find a lot of sports enthusiasts. You could also place ads in community newspapers. 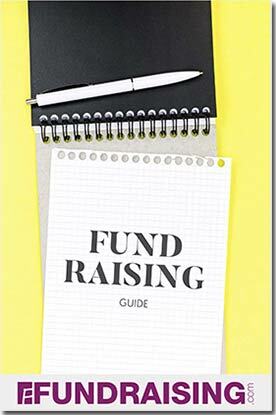 If your fundraising group is a school, send flyers home with the students and encourage the parents to post sign-up sheets and recruit players at their respective work places. The more participants you get, the bigger the crowd. The bigger the crowd, the more successful your fundraiser will be.